Envisioning Change exhibit at Nobel Peace Center, Oslo, Norway during June - August 2007. To learn more about the international traveling exhibit please scroll down. OSLO/BRUSSELS/NAIROBI/SAN FRANCISCO, 28 February 2007 – We are at the forefront of a new era of cultural transformation, one in which we have to take bold and unequivocal actions to create and implement cross-cultural and interdisciplinary solutions to diminish the threats posed by our Earths’ changing climate. In honor of the annual UN World Environment Day celebrations in June 2007, the Natural World Museum is presenting the exhibit, Envisioning Change, in partnership with the United Nations Environment Programme (UNEP), the Norwegian Ministry of Environment, and the Nobel Peace Center in Oslo. This international contemporary art exhibition is designed to generate awareness of global warming and climate change while inspiring positive change in people’s attitudes and actions toward the environment. 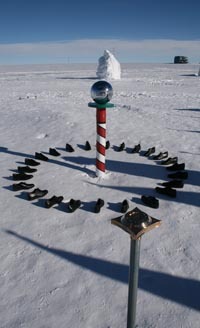 In support of the internationally coordinated campaign of research marking a new era in polar science, the International Polar Year has been established for 2007-2008. 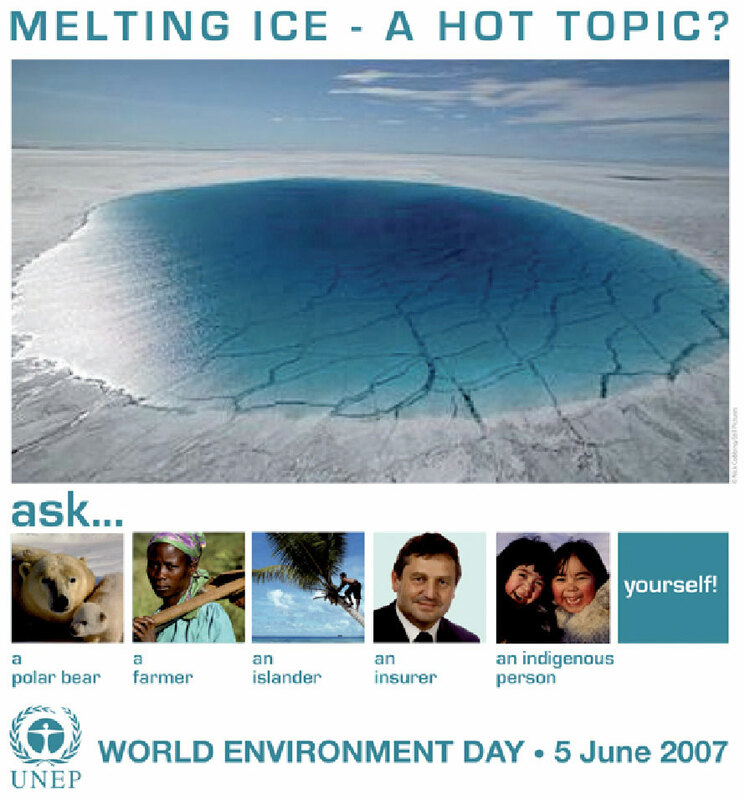 Coinciding, the theme of World Environment Day 2007 is Melting Ice – Hot Topic?, while the aim of the exhibit is to focus attention on the effects of climate change, and in particular, the state of our polar ecosystems and communities. A range of events will be staged for World Environment Day in the northern Norwegian city of Tromsø, known as the Gateway to the Arctic, on 3 - 4 June and culminate in Oslo on 5 June with the opening of the Envisioning Change exhibition at the Nobel Peace Center. It was in Oslo in 2004 that Wangari Maathai was awarded the Nobel Peace Prize for her contribution to sustainable development, democracy and peace through her grassroots environmental work with the Green Belt Movement. 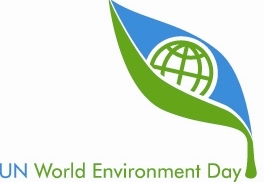 UNEP’s agenda for World Environment Day is to give a human face to environmental issues; empower people to become active agents of sustainable development; promote an understanding that communities are pivotal to changing attitudes towards environmental issues; and advocate partnership, which will ensure all nations and peoples enjoy a safer and more prosperous future. This innovative exhibition brings together 40 artists from around the world to address issues confronting our changing environment as reflected in the melting and thawing of ice, snow, and permafrost from the Himalayas to Kilimanjaro, from the Andes to the Artic. The exhibition explores such questions as “What is climate change?” “What are the political implications?” “How does sustainable development create a pathway to peace?” and “Why should we care?” The artists and artworks provide insight and answers to these questions. The 40 artists in Envisioning Change are diverse in both style and substance. Artists from Norway, Sweden, Finland, Iceland, Ireland, Serbia, USA, Spain, England, Peru, Croatia, Wales, New Zealand, Japan, Argentina and more, are participating in Envisioning Change, including Fred Ivar Utsi Klemetsen, Jonas Liverod, Laura Horelli, Lucy Orta, Mona Hatoum, Subhankar Banerjeree, David Nash, Dalibor Martinis, David Buckland, Yoshiaki Kaihatsu, David Trubridge, Helen Mayer Harrison and Newton Harrison, Gary Hume, David and Hi-Jin Hodge, Xavier Cortada and dozens more. The goal of this exhibition is to present a unique opportunity that utilizes the universal language of art as a catalyst to peacefully unite people in action and thought and to empower individuals, communities, and leaders to focus on environmental values across social, economic, and political realms. The exhibition will open at the Nobel Peace Center in Oslo on 5 June and be on display until 20 August 2007, then travel to the Bozar Centre for Fine Arts in Brussels from September through December 2007, and in 2008 on to Monaco and eventually Chicago in the United States. Minister Helen Bjørnøy expressed that “Art has the power to express the close ties between human nature and our natural surroundings, making it a powerful agent of increased environmental awareness”. “This is an important exhibition for the Nobel Peace Center. It clearly shows how the climate changes we are all surrounded by have direct impact on world security, and therefore on peace. The wide variety of artistic expressions on display effectively states that the earth’s climate affects all of us” said Bente Erichsen, Director, Nobel Peace Center. “Mankind's universal values of love, compassion, solidarity, caring and tolerance should form the basis for this global ethic which should permeate culture, politics, trade, religion and philosophy. It should also permeate the extended family of the United Nations” said Nobel Peace Prize Laureate, Wangari Maathai. “We are taking action to encourage positive trends in society by utilizing art as a catalyst to generate new perspectives that inspire social and environmental solutions” states Mia Hanak, the Founding Executive Director of the Natural World Museum.